This Heavy Duty Dolly has a 1000 pound capacity. 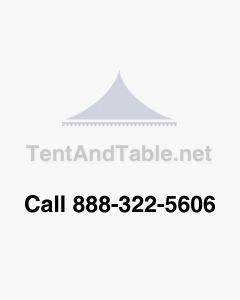 It easily moves bulky items including, inflatables, tents, propane tanks, roofing materials, plants, tables and chairs. The large 15" pneumatic tires help this hand truck move loads smoothly over rough terrain indoors or out. The P-handle makes it easy to maneuver this dolly with just one hand. The strong 11/4" tube frame combines with extra-wide nose plate support heavy 1000-lb. loads without compromise. 60"H frame accommodates stacked boxes. Wheel guards protect load.